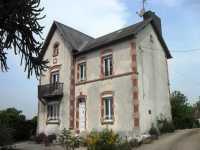 AHIN-SP-001120 Nr Tessy-sur-Vire 50420 Detached 2 bedroom family house with 1360m2 garden on outskirts of quiet village. 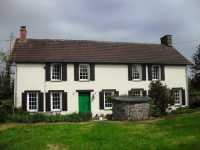 This charming detached house would make an ideal holiday or retirement home. It is on the edge of a quiet village and benefits from 2 bedrooms (one with en-suite shower room), a recently fitted kitchen and a new all water septic tank. This character house is nestled in a small hamlet just 5 minutes from the town of Tessy. AHIN-SIF-00I004 Nr Tessy-sur-Vire 50420 Individual Architect designed Eco-friendly log cabin with superb views, large garden, games room/barn and well appointed, spacious accommodation. 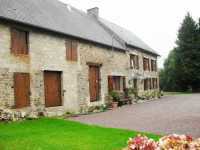 It is in a quiet hamlet near a pretty village with lake, play area and bar/restaurant in a great area for walkers. Believed to data from 1750 this lovely home is filled full of character and charm, it offers the flexibility to be divided to create a separate second home or is ideally set up for a bed and breakfast business. A newly renovated character home, sitting in the middle of its own grounds with no immediate neighbours yet close to Tessy sur Vire. 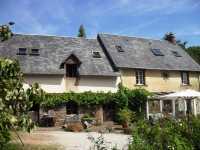 The property has many stone outbuildings ideal for storage or further renovations.